Born Von Wayne Charles on July 26 in Buff Bay, Portland, Wayne s initial singing inspiration came from attending Sunday school, where singing was compulsory, and from his mother who sang in church. As a child Wayne and his family moved all over eastern Kingston, living in areas such as Dunkirk, Franklin Town and Rae Town, home of the weekly Sunday night Reggae/R&B oldies street dance. The exposure to vintage 45′s at these dances would provide Wayne with a richer, more soulful vocal approach to a Reggae rhythm track than many of his contemporaries. It was at secondary school where Wayne’s thoughtfulness and philosophical nature led to the acquisition of the nickname Wonder; young Wayne sang at school, at home, at church and for his friends and wherever he sang, he was encouraged to pursue his craft professionally. Around 1989, Wayne began collaborating with his childhood friend Dave Kelly. At the time, Kelly was an engineer for Donovan Germaine’s Penthouse Records, the label synonymous with Dancehall Reggae hits of the late 80s/early 90s. Together Wayne and Dave created a steady stream of successful Penthouse tunes including “I’m Only Human,” “Baby You and I” and “Saddest Day” (which Wayne re-recorded in combination with Foxy Brown on her 2001 Def Jam Records Broken Silence CD). Wayne became well known for his 1991 cover version of the late Jamaican singer Delroy Wilson’s “I Don t Know Why” re-titled “Movie Star.” The same song in combination with Buju Banton (whom Wayne brought to Penthouse Records) “Bonafide Love” proved to be a huge success as well, remaining a heavily requested tune even today. Wayne and Dave Kelly continued their successful musical relationship when Kelly founded his own Madhouse and Xtra Large labels. Wayne recorded many hits for Madhouse spanning the mid to late 90s, including “Joyride,” “Bashment Gal,” and “Keep Them Coming.” Wayne introduced an extra dimension with “Let Your Conscience Set You Free” recorded in combination with his alter ego, deejay Surprize. “I have a lot of tracks on the road like Wayne Wonder featuring Surprize. Really, I’m the deejay as well as the singer, that is the surprise. My creative juices get crazy on me so I apply them in different ways.” Surprize was also featured on several tracks of Wayne’s 2001 release Schizophrenic as was Wayne’s underground group Entourage, featuring his deejay protege Showki Ru (pronounced sho-kee roo). 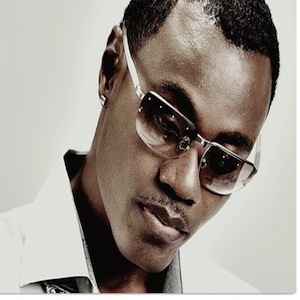 Wayne launched his own record label Singso in 2000 and has released singles by several artists including Baby Cham, Alley Cat, Frankie Sly, and Mr. Easy. In 2002, Wayne earned the first #1 hit of his career pledging a lifetime of devotion on the sweetly romantic hit “No Letting Go.” Steve “Lenky” Marsden, the multitalented musician and producer, whose hypnotic Diwali rhythm track supports Wayne’s sweet serenading on “No Letting Go” is one of the featured producers on the album, along with heavy hitters Tony Kelly and Sly Dunbar. Much of the pre-production work was done in Wayne’s home studio in the US, as well as recording tracks in Jamaica. Wayne wrote or co-wrote all of the songs on No Holding Back and the album featured the same superlative vocal and songwriting standards his fans have come to expect from him over the years. Wonder’s career exploded globally in 2003 when his album No Holding Back and the single “No Letting Go” were released on the major label, Atlantic Records. The smooth single dominated Urban and Pop radio (reaching #11 on the Billboard Hot 100 Pop chart) in America and the album, No Holding Back received a Grammy nomination for Best Reggae Album, a MOBO Award in the UK, three BMI Urban awards, and a live performance on NBC Television’s “Saturday Night Live.” The follow-up single and video “Bounce Along” reached #12 on the UK pop charts.